I read this article and found it very interesting, thought it might be something for you. The article is called Sussex Chickens and is located at https://www.chickencoopguides.com/breeds/sussex-chickens/. Raising Sussex chickens can be a wonderful family experience. However, it is important to research a variety of breeds to find one that best fits your lifestyle. 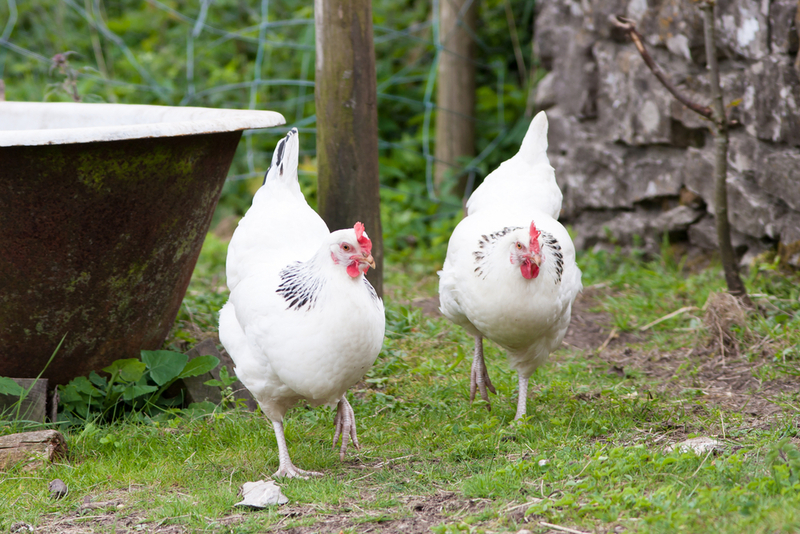 Sussex chickens are sweet natured, which makes them perfect for families with children. Whether you want to raise chickens for meat, eggs or fun family pets, you need to make sure they are properly housed, fed and cared for. This includes providing them with enough space to roam and covered shelter to protect them from the weather, household pets and natural predators. Here is an overview of the Sussex breed and what you can expect when raising a flock. Sussex chickens are a heritage breed that originated in southeastern England. Historical accounts date these birds as far back as the Roman Invasion in 43 A.D. They come in seven major colors: light, buff, silver, white, speckled, buff Columbian and coronation. Light chickens have white bodies with black tails and wings. Buff Columbians are similar, except their bodies are light brown. Coronation implies a white body with gray-blue accents on the tail and wings. Dark brown varieties with speckled feathers tend to be the most common in America. Owners often find raising Sussex chickens fun and simple. The chickens are curious by nature and shamelessly involve themselves in the happenings around them. The breed is also quite docile and friendly and can be bullied by stronger personality types. If you are considering mixing Sussex chickens with other birds, make sure you pair them with calm, non-aggressive types. This breed can handle all four seasons and are happy in both small spaces or as free rangers. Hens are quite productive egg layers yielding about 250 eggs each year. They have moderate broody tendencies, but are rarely extreme. Hens and roosters can also be used for their meat. Roosters grow to be around nine pounds, hens to about seven pounds and bantam varieties from two to four pounds. If you are not sure how many chickens you should have in your flock, consider how you intend to use them. If you are raising Sussex chickens for their meat, you need to allow enough time for eggs to be laid and chicks to hatch and grow before slaughtering mature chickens. If you are primarily interested in their eggs, think about how many eggs you want or need. Each hen lays about an egg per day, so if you want two eggs each morning, you need to two chickens. If you plan on supplying your neighbors or a larger family with eggs, you may want more. Considering raising extra as backup to accommodate for unexpected inconsistencies, especially during the winter season. Watching your flock grow and flourish in an indescribable feeling. With proper nutrition and housing, your chicken flock is sure to stay happy and healthy for many years to come. Make sure all family members know how to properly care for the flock so that they never go a day without eggs.